If you see my posts before, you will see some picture that i embed on post is animated (gif format). I create it using byzanz software. This software is available on AUR. Okay install byzanz, from AUR, for easy way to install using PacmanXG4. byzanz is gnome-applet so for GUI settings only work on gnome panel. 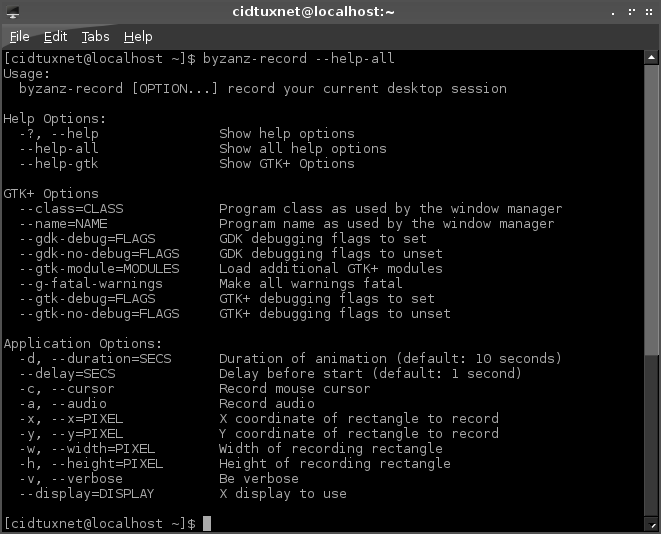 There are no solution of this, alternative way using recordmydesktop to record any desktop environment, but for gif record byzanz is still the bests. But the larger resolution will get the bigger size, and if you have little memory/ram, your ram will be exhaust. I don't use gnome yet. So i don't have snapshot about byzanz on GUI mode. But enjoy this apps on Archlinux.